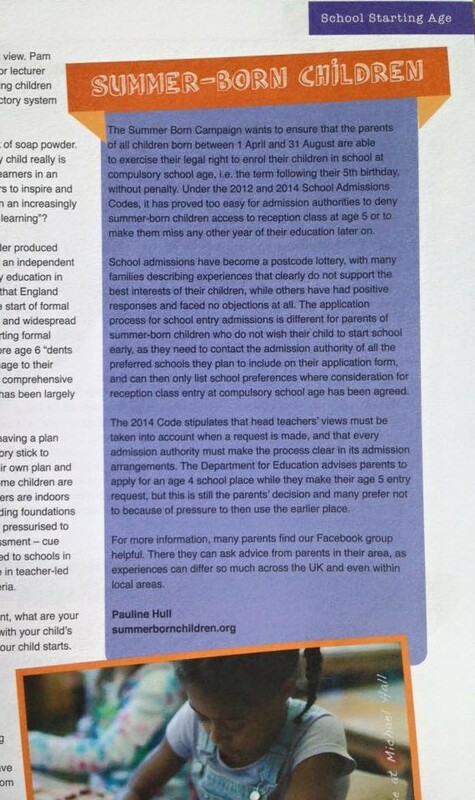 The Autumn 2015 issue of JUNO has a featured special article on ‘School Starting Age‘ that includes a section on ‘Summer-Born Children‘ written by Pauline Hull. 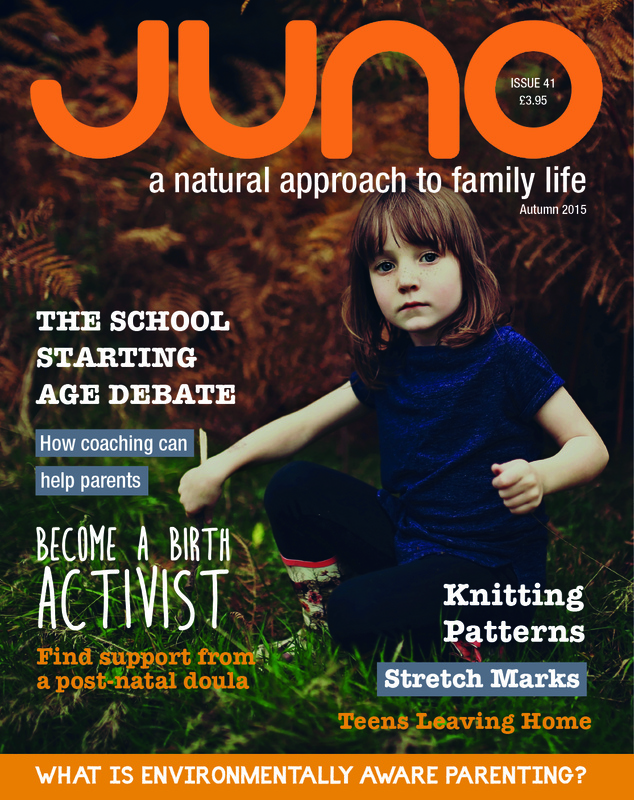 JUNO is a natural parenting magazine that inspires and supports families through its range of features, columns and artwork – see its Twitter, Facebook and website links. “Established in 2003, it is published four times a year, in March, June, September and December. The editorial is broad, covering all aspects of family life for all ages. JUNO is loved by many readers for its articles that share personal experiences and reflections, and for the beautiful and striking images and illustrations from a range of artists. JUNO is available through WH Smiths, independent retailers, online at http://www.junomagazine.com and as a digital edition.